Holidays are always a fun time of the year. It’s the time of celebration, spending time with loved ones and preparing for all of the festivities that lie ahead. With any holiday celebration comes the new stains on your freshly cleaned carpet. So, what do you do when that bright holiday punch spills onto your rug? Or when gooey gravy and sticky cranberry sauce seeps deep into your carpet? This typically requires a quick response to minimize the impact that will help keep your carpet for the holidays. Tip #1: Effectively Treat the Stain. Depending on the condition of the stain will determine how recent it is. If the spill is still damp, try to blot up as much as possible with a dry rag. If the area has dried, vacuum over the stain several times to help remove the old residue. Tip #2: Apply Water. Once you’ve blotted or vacuumed over the stain, add water to help enhance the remedy. By applying water, this will help make the stain removal process a little easier. For best results, blot the area with cool water, followed by dry blotting immediately afterward. Tip #3: Create a Cleaning Mixture. Create a cleaning mixture using a cup of tepid water and ¼ teaspoon of liquid dish soap. Once created, apply it to a corner of your carpet to check for negative reactions. If all goes well, gently apply the solution onto the stained area and work a soft sponge in a circular motion toward the center of the stain. Tip #4: Blot. Apply cool water on the stain and blot until dry. Are you preparing your home for Thanksgiving and Christmas? Now is the time to get your carpets cleaned before your friends and family arrive. While many stains can be removed by using these steps, professional cleaning is the way to go. Contact Everclean to schedule your appointment today. 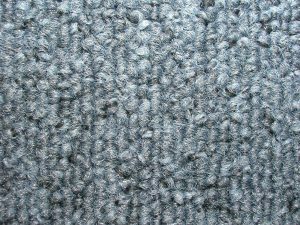 This entry was posted in Carpet Cleaning and tagged Carpet Cleaning for the Holidays, professional carpet cleaning company, quick carpet cleaning tips, Tips for Carpet Stains. Bookmark the permalink.